Attention All Gardeners! 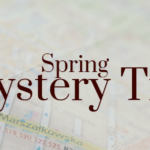 JH Travel has planned a special one day trip visiting Sherbondy’s Garden Center (Council Bluffs), Indian Creek Nursery (Omaha), Mulhall’s (Omaha) and Harvey’s Greenhouse (Adel). 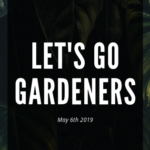 We are also offering an additional one day garden trip on May 7, 2018 (different greenhouses) – when making reservations be sure to share which date you are making reservations for. Our first morning stop will be for a muffin & coffee at the Chuckwagon Restaurant and then onto plant shopping! 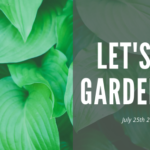 Our first plant stop is Sherbondy’s Garden Center which is in its 47th year in their family owned business and known for the large expanse of outdoor area to shop, roses, perennials & annuals. Onto Indian Creek Nursery which began in 1981 and offers a large variety of succulents, unusual perennials and pottery. A Subway boxed lunch will be served for lunch on the way to our next greenhouse which is Mulhall’s which is a family owned business for over 60 years with the third generation overseeing the management. It offers a large terrarium area that displays decorations, rocks & glass options to make just the perfect terrarium. They also offer patio furniture, succulents, tropical plants, annuals & trees.